In 1898 Roy Conklin, an inventor of Toledo, Ohio (USA), founded the Conklin Pen Company. This is still regarded today as one of the most important and innovative producers of American writing materials from the golden age of fountain pens. The modern Conklin Pen Company, reinvigorated after about 50 years, strives to produce fountain pens in the same spirit and with exceptional innovations. All while maintaining an excellent quality level. 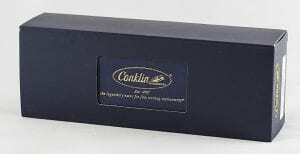 Conklin’s fountain pens are made from first-class materials and are based on previous models manufactured by Conklin. 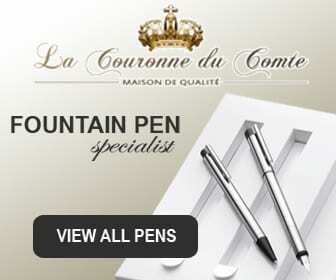 The fountain pens are made by craftsmen who stand by this legendary name. 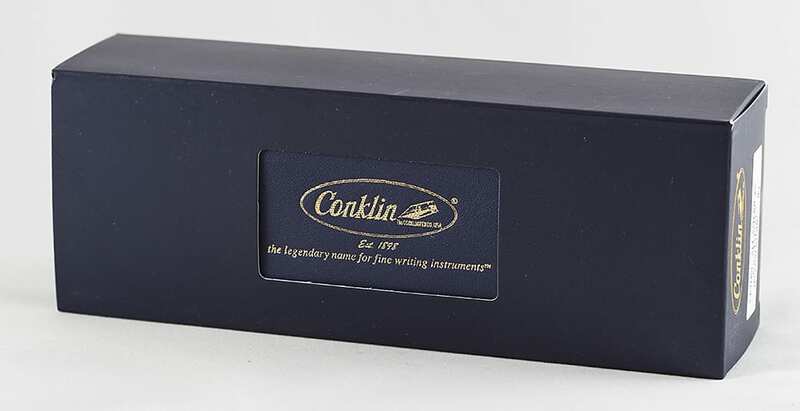 All Conklin fountain pens have a lifetime warranty. During the 1930s, at the beginning of the Great Depression, Conklin released a collection of fountain pens that were favourably priced. The “All American” collection was offered in different formats, with various filling mechanisms and finishes. All with the aim of satisfying the demand for affordable, good quality writing materials. It’s this fountain pen that we review today. 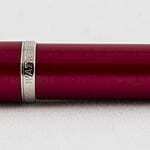 The modern All American pen is made of handmade European noble resin. I can tell you that this is a fountain pen you love or hate. How does the Conklin All American write? The pen has extreme colours, but also the shape is quite extreme. If you love the seventies and appreciate the explosion of colours, I would suggest you buy one. Make sure you like the way this fountain pen lays in hand. In my opinion, the transitions are a bit too rough. The edges are on the big side, so you have to keep your fingers just right to avoid it bothering you. The nib is reasonably good and also flexible, but not super flexible. You can’t write with it in different thicknesses. I am more enthouiastic about the clip, which is good and also has a nice shape. 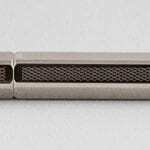 The fountain pen with steel pen tip uses standard international ink cartridges or a converter. 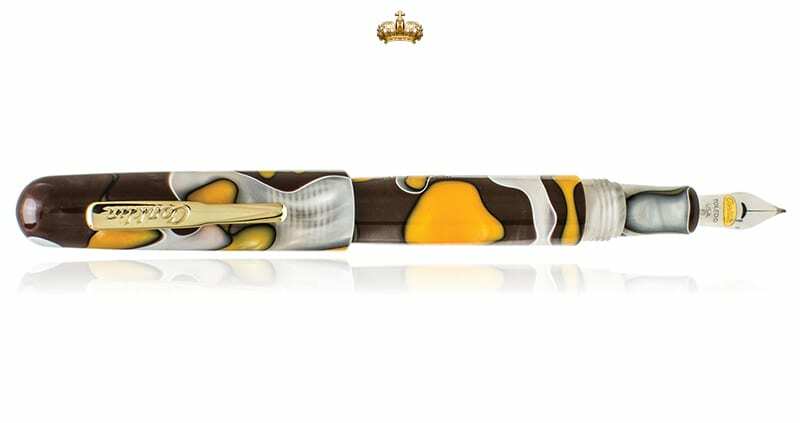 The Conklin All American is a special pen for special people. In my opinion, there are better fountain pens for this price. If you like of the shape and colours of these fountain pens, consider buying one with a better nib.